Although, there is no concept of a standard breakfast in India due to the regional diversity in cuisines, the staple breakfast in Bangalore generally consists of a variety of idlis, dosas, bisibele bath and other items from the Udupi cuisine. However lately, there has been a shift in the preferences of the common IT professionals, with more number of cafes and coffee shops opening up in Bangalore serving wholesome American breakfast options. These cafes, which remain open throughout the day, have gained a lot of prominence and are thronged by techies who yearn to take a bite from the delicious menu. Walking around in the Koramangala area to satisfy hunger pangs in the morning, I found quite a few cafes which serve great breakfast options, albeit being a bit slow. 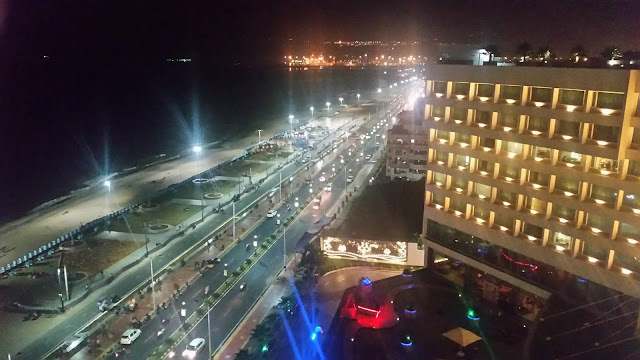 My friends who have been in Bangalore for a more time say that these cafes translate with lazy atmosphere of the weekends and hence, once shouldn't desire a fast service from them. The most famous cafe in Bangalore, getting a seat here in the weekends is as hard as booking tatkaal tickets through IRCTC, unless you are prepared to wait quite long. Located in the prime area of Koramangala 4th Block, this two floored cafe is a small place but perfect for brunches on weekdays and weekends. They have a huge menu offering about 15 different types of breakfast meals with options for vegetarians, egg fanatics and meat lovers including choices in beef and pork. 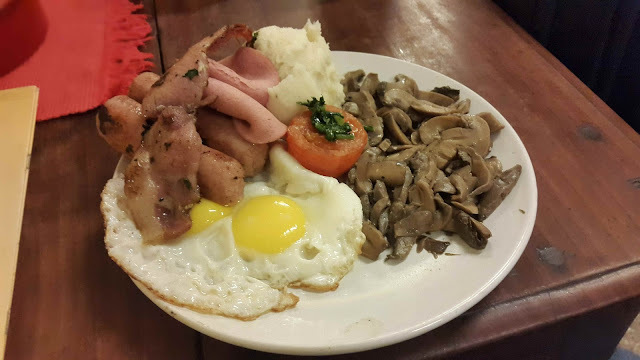 My favourite here is the Porky Fella Breakfast which has salami, bacon and sausages served with two eggs sunny side up, some sauteed mushroom, mashed potato and a grilled tomato, along with toast and butter. 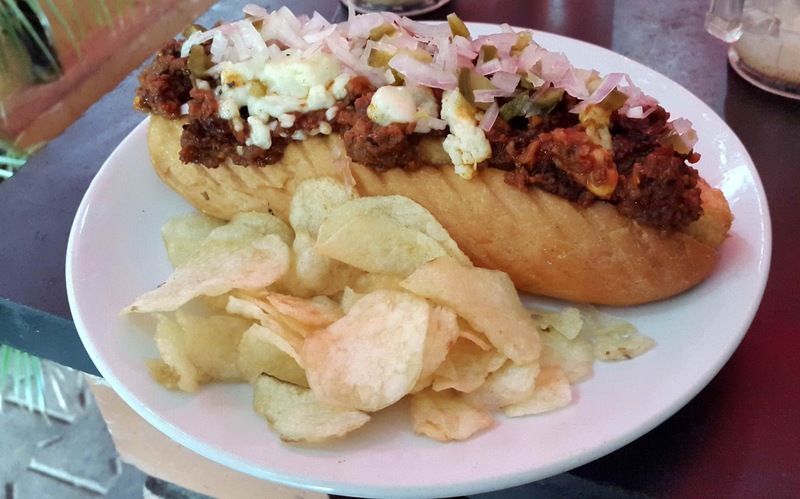 Walk-the-Chilli Dog is a must try for those who love a bit of spice in their food. Layered with spicy beef kheema, cheese and a bit too many onions, this is the American answer to the Bombay Kheema Pav. As the masala is a bit different, the overall end product is quite different and delicious . Other interesting dishes (with even more interesting names) include the Meatzza Omelette, a kheema pizza with a thick 4 egg omelette as a base, the Double Hammy Burger, a burger with the goodness of pulled pork and pork ham and their wonderful range of pancakes which are some of my personal favorites. 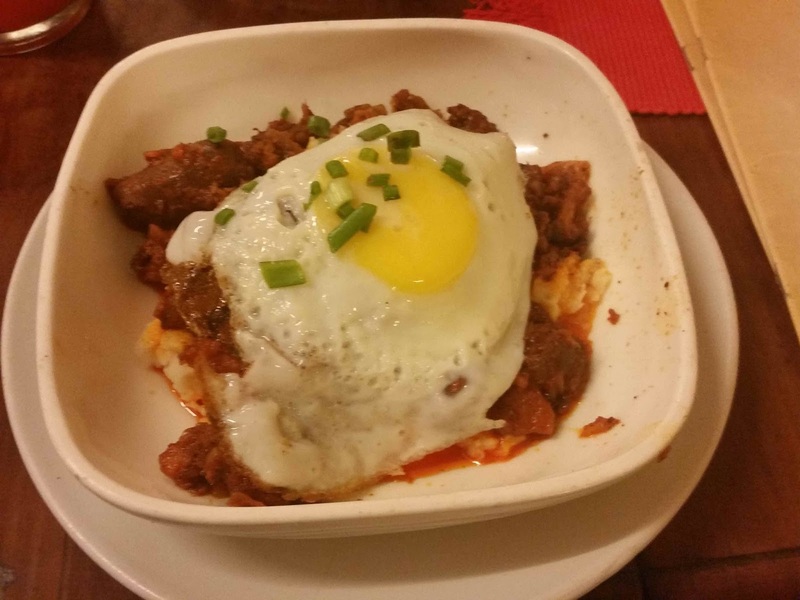 The Goan Sausage Breakfast has spicy sausages covered by mashed potato and fried egg. It is a hot option in the menu. 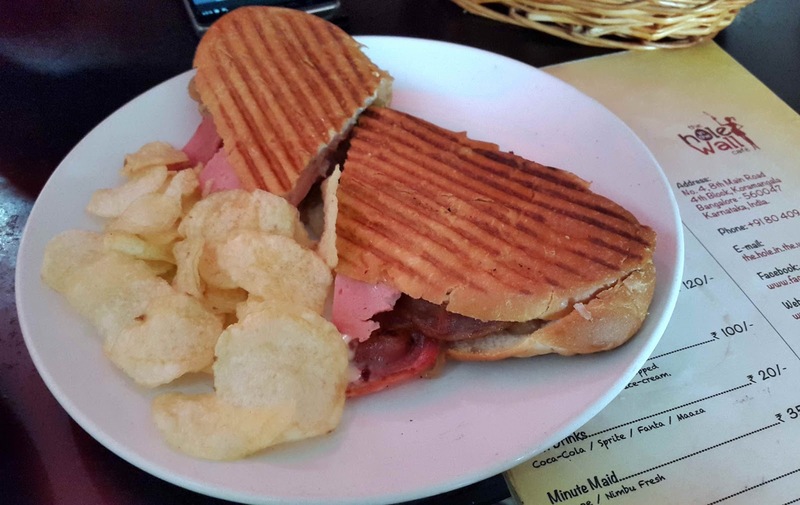 Located on the 80ft Road, Mustard Cafe is a small establishment with a handful of chairs but great food. They have an in house gift shop in addition to the regular cafe setting which has an interesting set of items ranging from books to decorations. Their location however is quite problematic. Situated quite close to the Mustard Food Court, their Google Maps location is a bit off and caused quite the confusion in tracking them down. The food at Mustard Cafe is extremely simple and homely. They don't aim to do anything extraordinary but believe in selling what they make the best. 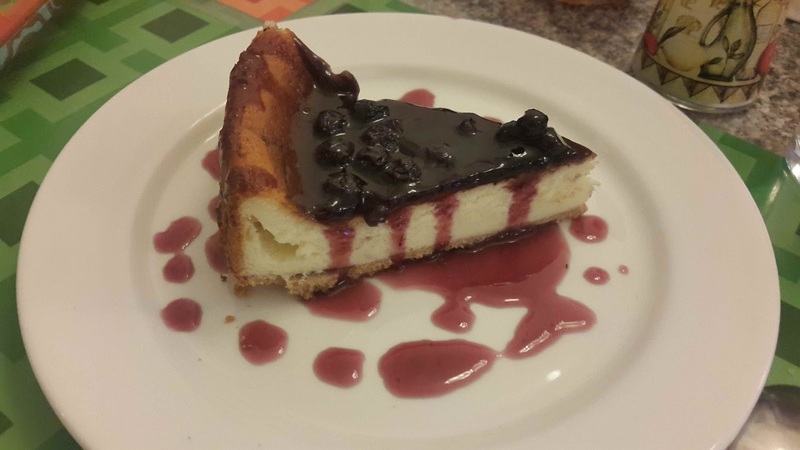 My experience with them always ends in their famous Blueberry cheesecake which is of optimum sweetness. I am also a bit partial towards their Caribbean Jerk Chicken. Though the taste doesn't exactly translate with the popular Jamaican Jerk sauce, their version isn't exactly bad either. 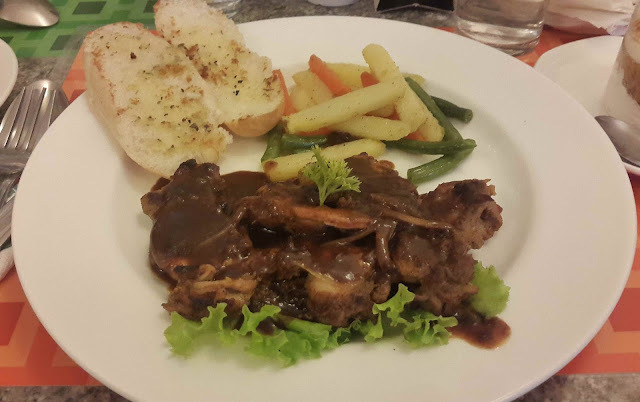 Soft and tender boneless chicken served with caramelized onions, vegetables and garlic bread. This is one of the most laid back cafes in terms of service, so make sure you have plenty of time to while away till they prepare your food. With more of a Dice and Dine concept, their shelves are stocked with books, cards, Monopoly and a variety of other games which can be played while waiting for the food to arrive. The biggest attraction to the cafe is its rooftop setting. Filled with a variety of couches, sofas and beanbags, the soothing music playing in the background makes it one of the best places to enjoy a quiet evening with a book while sipping on a cup of java. The only fallback is that the rooftop is assigned to only a single server who simply cannot handle it all, further slowing down the process. The cafe serves some really good and crispy burgers. Though a bit dry, the beef and bacon cheese burger is quite heavenly and filling. 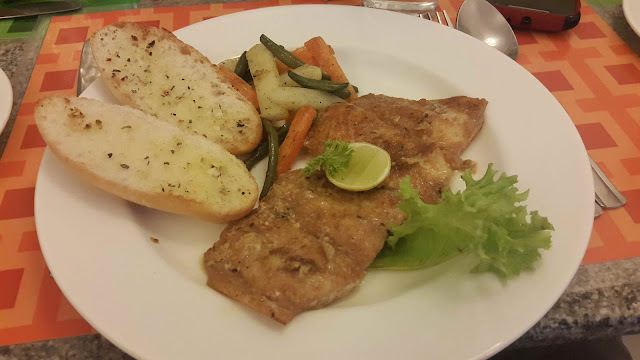 The Grilled Betki too is quite ravishing with the soft but crispy fish fillet playing a great foil to the tangy lemon butter sauce. 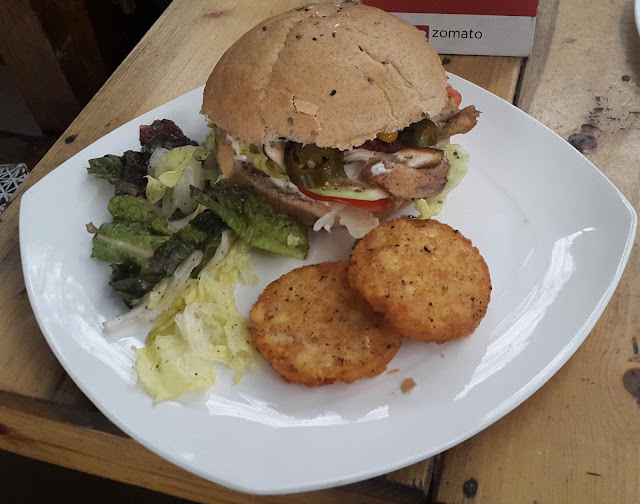 Though these American Cafes are some of the best in Koramangala, my list of good cafes run long. Also every month there are new places coming up to cash on the change in palate of the locals as well as techies. We shall cover a few more of my favourites in a later post. And i am a vegetarian...so agree that breakfast for me when in bangalore was idli and dosa...nice list there. Delectable items! I have been to The Hole in The Wall restaurant and must say that the food is a gastronomic delight. My personal favorite, the All English breakfast. Gotta check out the other places! Nice list. Will try these some day. Yes there are plenty of choice in Bangalore but my favorite always remains idly and dosa.